สำหรับ Windows Server 2003; Windows Server 2008; Windows Vista; Windows XPThe Windows Installer 4.5 redistributable can be installed on Windows XP Service Pack 2, Windows XP Service Pack 3, Windows Server 2003 Service Pack 1, Windows Server 2003 Service Pack 2, Windows Vista, Windows Vista Service Pack 1, and Windows Server 2008 in X86, X64 and IA64 flavors. สำหรับ Windows 2000 Service Pack 3; Windows 2000 Service Pack 4; Windows Server 2003; Windows XP; Windows XP Service Pack 1; Windows XP Service Pack 2Windows Installer 3.1 Redistributable supports Windows 2000 with Service Pack 3 or later, Windows XP, Windows XP Service Pack 1, Windows XP Service Pack 2 and Windows Server 2003. Windows Server 2003 Service Pack 1 contains Windows Installer 3.1 and therefore can't be installed or upgraded by this redistributable. สำหรับ Windows 2000 Service Pack 3; Windows 2000 Service Pack 4; Windows Server 2003; Windows XP; Windows XP Service Pack 1Windows Installer 3.0 Redistributable supports Windows 2000 with Service Pack 3 or later, Windows XP, Windows XP Service Pack 1 and Windows Server 2003. Windows XP Service Pack 2 contains Windows Installer 3.0 and therefore can't be installed or upgraded by this redistributable. 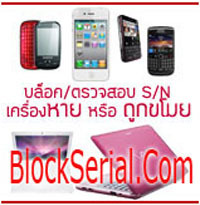 สำหรับ Windows NT 4.0 และ Windows 2000?